Michigan Auto Law attorneys Steve Gursten (from left), Lawrence Gursten, Leonard Koltonow and Robert Raitt have been named to The Best Lawyers in America for 2018. I’m proud to announce that four Michigan Auto Law attorneys have been named to The Best Lawyers in America for 2018. The four of us — Steve Gursten; Lawrence Gursten; Leonard Koltonow; and Robert Raitt — are being recognized in the practice area of plaintiffs’ personal injury litigation. The personal injury litigation area includes attorneys who help people injured in auto accidents and truck accidents. The Best Lawyers in America is limited to the top 5% of attorneys in the U.S. It’s also based on professional peer-review surveys. That means the most respected attorneys across the state of Michigan and the country vote on who they think are the very best lawyers they know. It’s a special honor. No other law firm in Michigan that handles car crash injury and truck accident cases has this many lawyers named as the very best in this area of personal injury law. 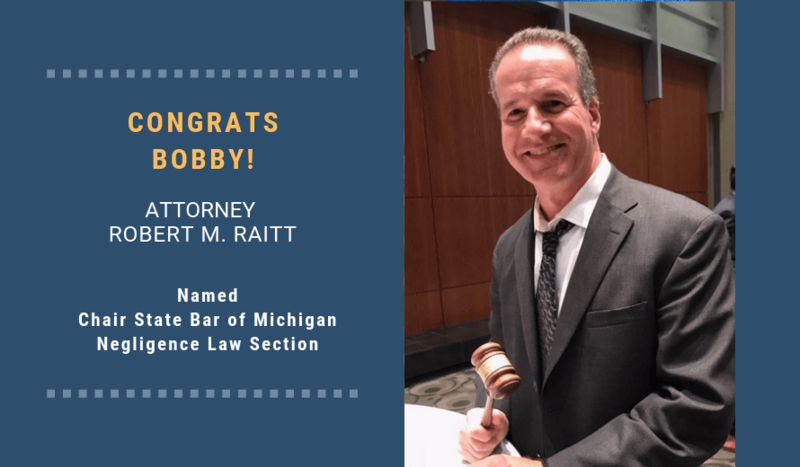 The 2018 ranking marks the 10th year in a row for our four Michigan Auto Law attorneys being named to the list. How does Michigan Auto Law stand out from other Michigan personal injury attorneys? Being listed on the Best Lawyers in America list tells me we got there by doing the hard, time-consuming things that other personal injury lawyers often won’t do. The best auto accident lawyers I know always have one thing in common: they pay extra attention to the details of their cases. This starts with great communication with your clients, which is sorely lacking in our world of mass-market TV lawyers and all of the legal advertising on radio, billboard and bus wraps. These lawyers don’t sign as many car crash cases as possible in order to keep their “churn and burn” settlement mill rolling. Hard work pays off. I’m happy to say that Michigan Auto Law has recovered the top reported jury verdicts and injury settlements for car accident and truck accident victims in the state of Michigan over multiple years. These and other case results have made us the go-to firm for attorneys in Michigan — without having to do advertising. More time working on cases, smaller caseloads and better communication are the way we’ve been able to achieve the results we have for our clients. Instead of focusing our attention on producing TV commercials or radio ads that play ad nauseam, we’d rather focus on doing great legal work for the people we’re entrusted with helping. To me, that’s being the “Best” kind of lawyer. The Best Lawyers in America is based on an exhaustive peer-review survey. The 2018 Edition is based on more than 7.4 million evaluations and recognizes more than 58,000 attorneys in 140 practice areas. Those lawyers selected for inclusion in The Best Lawyers in America do not pay a fee to be listed.